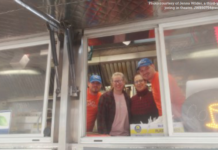 Chicago, IL: Check Out Fido to Go – It’s a Food Truck for Dogs! 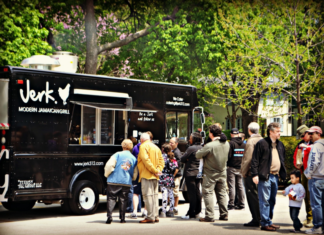 Chicago's street food scene is about to undergo a major overhaul. 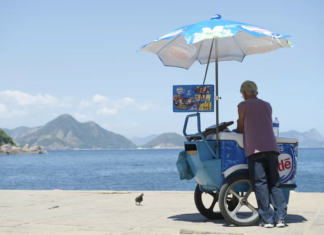 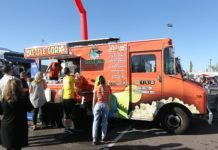 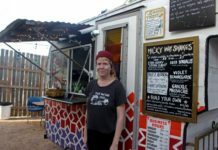 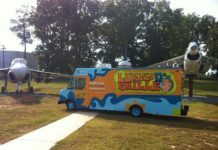 Thursday morning, the City Council voted to offer food cart licenses. 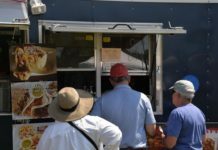 After a city council vote today, food carts are now legal and regulated in Chicago, but that won't necessarily mean a street-food bonanza for consumers. 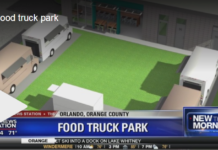 The food trucks will be in the parking lot, which will be fenced in. 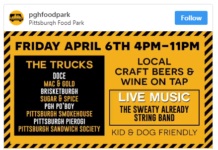 There will also be a mainstage there with live entertainment, including Ring Shout & Friends. 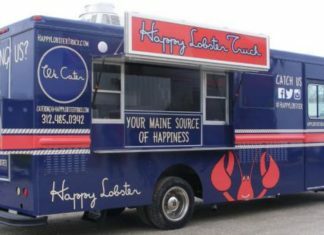 Northbrook natives Alex Robinson, Neal Bassett and Tyler Cullitan take their Happy Lobster truck to the Loop every weekday morning. 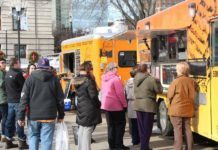 Street food season is finally upon us here in Chicago, where most food trucks hibernated during the arctic winter. 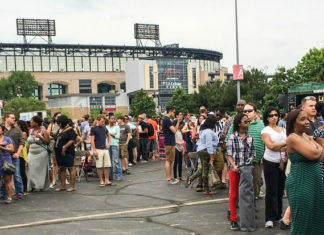 The Chicago Food Truck Fest is coming back for its second run on the South Side — but organizers are bringing a different game plan to the table. 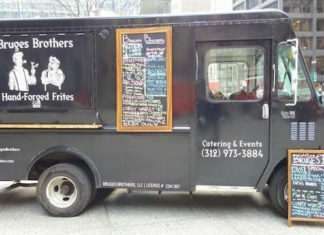 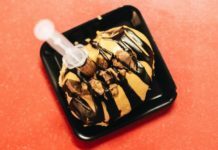 Enjoy your favorite local Chicago Food Trucks just steps away at the parking lot at 443 North Wabash Avenue, with a new variety of trucks every week. 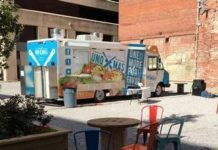 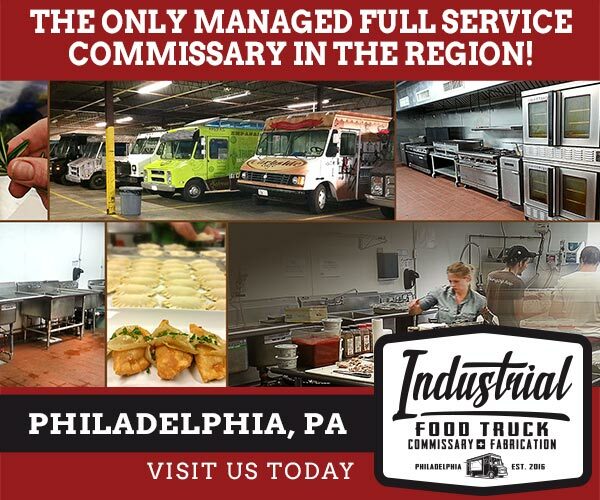 This Food Truck Thing Has Wheels! 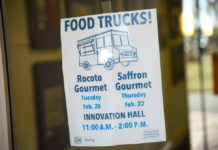 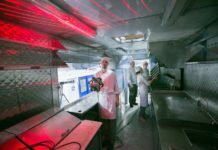 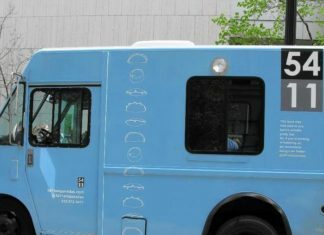 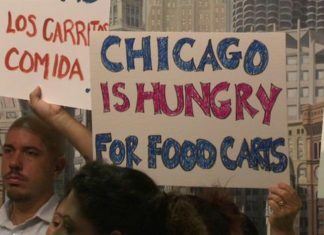 Chicago “Mobile Food Facilities” – Bad News or Good Eats?